Tasting Note: 1888: Spyros Metaxa creates, possibly, the smoothest amber spirit under the Sun. Ever since, the art of wine-making, distilling, ageing and blending creates the unique METAXA style. 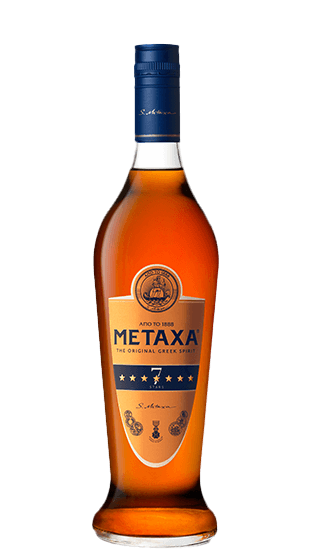 METAXA 7 Stars has a mature fruit character revealing intense notes of noble muscat nourished by the sun of the Aegean islands.